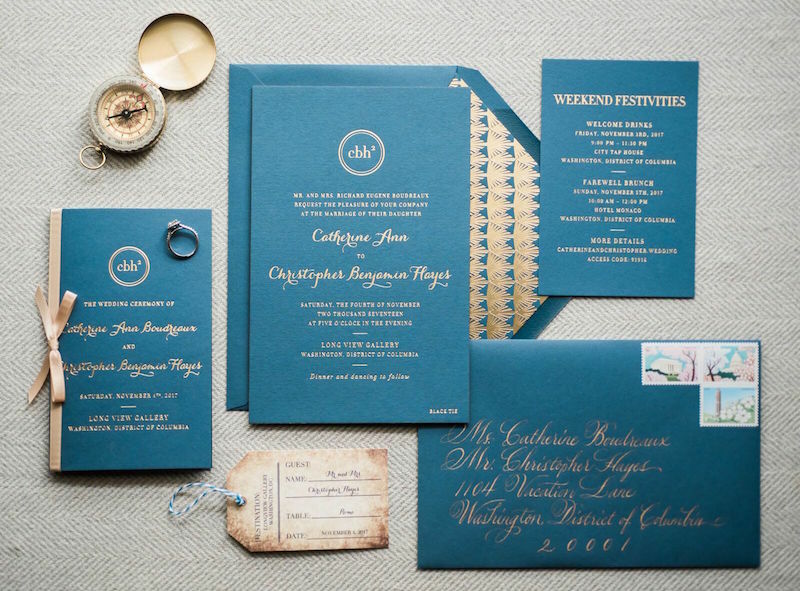 Traditionally, the hosts of the wedding extend the invitation to all guests. 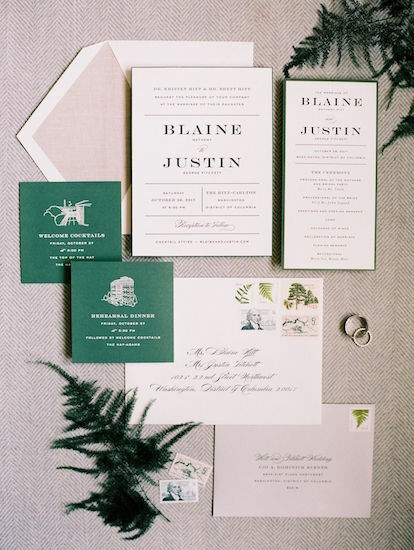 Your guests presence will be requested in two ways traditionally. One, “the honor of your presence” denotes that the ceremony will take place in a house of worship or that a religious service will take place. Two, “the pleasure of your company” denotes that the ceremony will be taking place in a country club, home, outside, generally anywhere else aside from a house of worship. 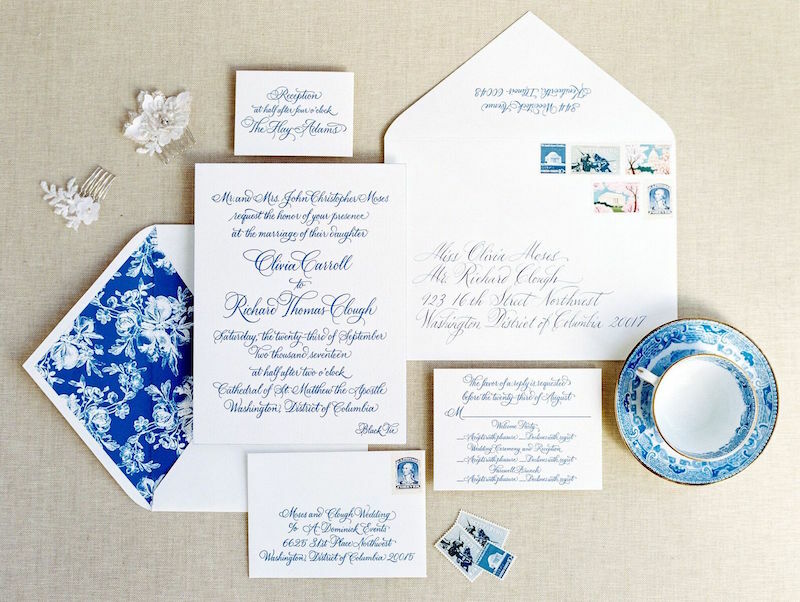 According to Crane’s Blue Book of Stationery, traditional wedding invitations only have the names of the bride’s parents, not stepparents, listed. 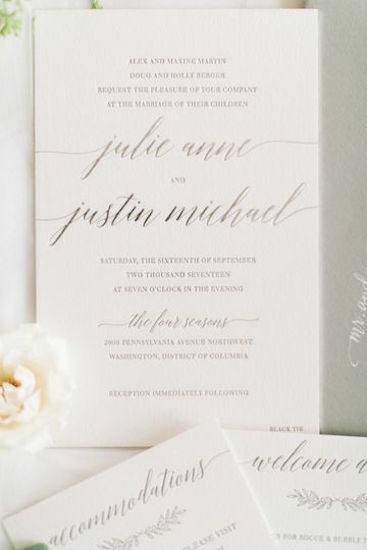 However, if the bride’s step-parent has been involved in her life since an early age or the bride feels especially close to her step-parent then they can certainly be listed. Another unique situation can be when both sets of parents are hosting the wedding together. To include everyone in a loving way, most couples choose to state, “together with their families” in the hosting line. If both families are hosting, you can also choose to write out the full names of both sets of parents rather than using the statement “together with their families” in the hosting line. Most importantly, try to remember that even though this may seem daunting at the end of the day you should have fun! 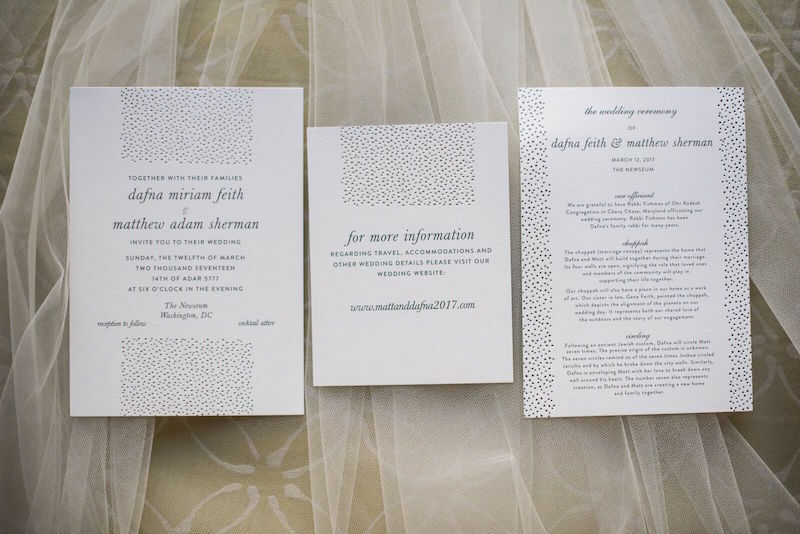 Make your invitations unique, and be true to your relationship with your partner and your families.